Live long enough, and you’ll eventually end up with a mishmash of media in all different formats on your hard drive. There was your GIF phase, then your PNG phase, and now you’re on JPEG files. And then there’s the smattering of other formats, a few files of each. Bring order to the chaos with today’s discount software promotion, 1AV Image Converter! 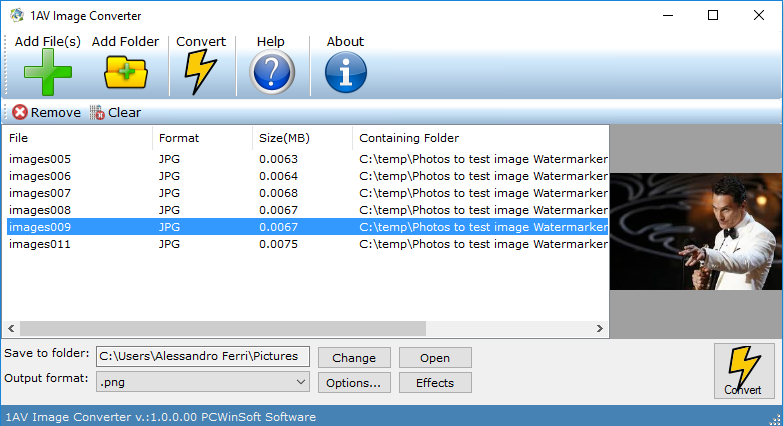 1AV Image Converter converts image files to a broad array of popular file formats. With 1AV Image Converter, you’ll be able to take source images in JPG, PNG, GIF, BMP, TIF, TIFF, and ICO formats and transform them into any one of over two dozen other formats. 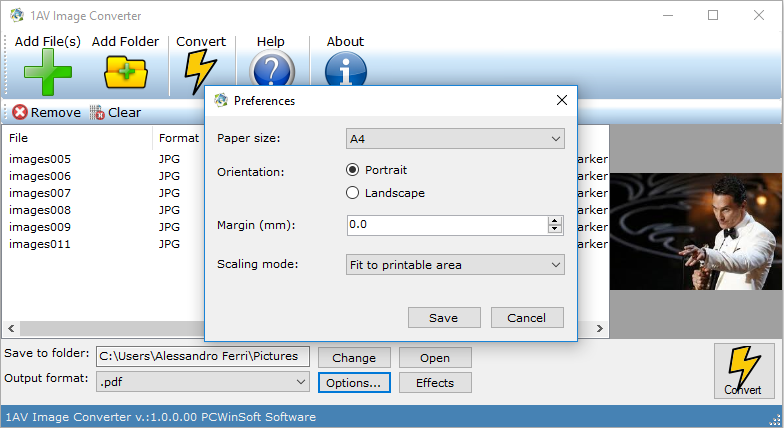 You can even turn images into PDF files with 1AV Image Converter! Think this is complicated? It’s not! 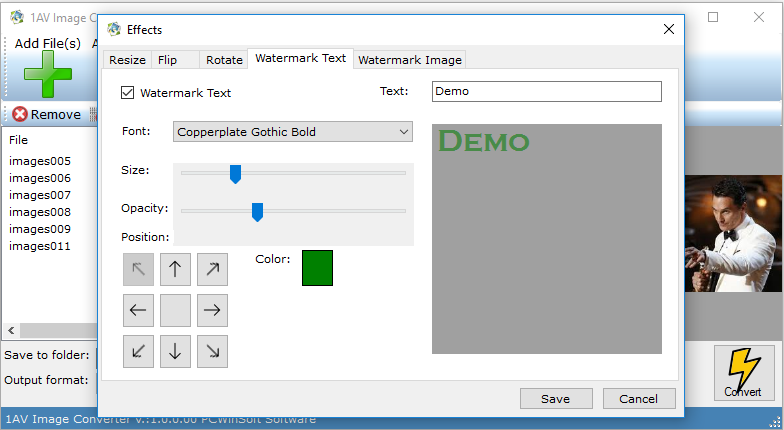 1AV Image Converter offers an intuitive interface with virtually no learning curve. So, regardless of your technical expertise (or lack thereof), 1AV Image Converter is the perfect tool for consolidating all of your images to a single format! 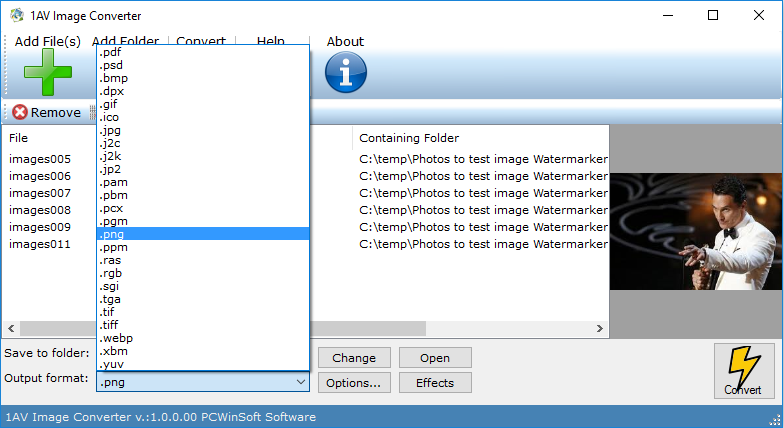 After you purchase 1AV Image Converter it may be used indefinitely. 1AV Image Converter is licensed per user, so if more people are going to use 1AV Image Converter you will need to purchase additional copies. Each license allows installation on all owned computers, and 1AV Image Converter may be used at exactly the same time on each of them. Online license activation is required with a hardware footprint, and unlimited installations per footprint. what's this?